Reason #10: Unless you have money to burn, you'll love knowing that Infor10* Integrated Supply Chain helps contain costs. Reason #9: Customers need love too, which is why Infor10 includes some seriously improved CRM. Reason #8: Manufacturing is getting harder, not easier. 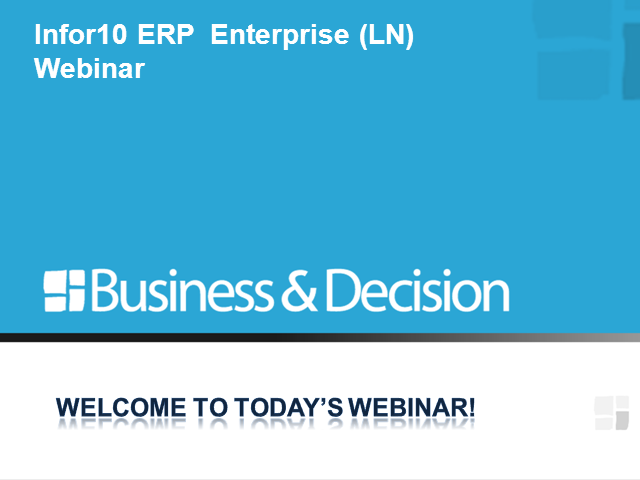 You need more from ERP, not less. We'll also answer questions and, in general, make sure you have the facts you need to consider whether or not Infor10 is right for you.